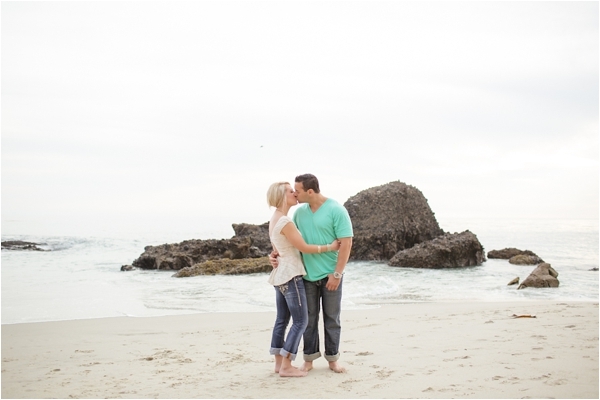 Gorgeous couple, stylish outfits, and a pretty little beach in Southern California.. what more can you ask for? 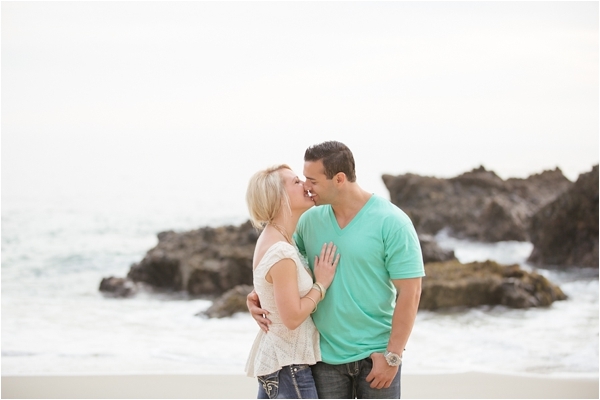 This pretty engagement session was photographed by the talented Valentina Glidden. 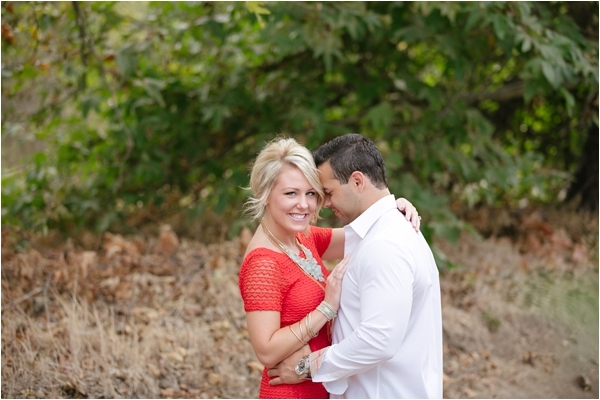 I love the outfits the couple chose for their engagement session! Thank you for sharing, Valentina! From the couple: Valentina was the most amazing photographer Brianna and I could have asked for. We had an amazing time. The pictures came out better than I could have ever imagined. Every picture from our session that Brianna or I put on facebook or instagram, immediately get so much attention, tons of comments and "likes." Valentina noticeably appreciates our business. She made our session very enjoyable with pictures that can show the love Brianna and I have for each other. I was lucky enough to have her referred to me by a friend and it will be very simple for me to refer her to any of my friends and family looking for a photographer. Their love story: Brianna and I met on the fourth of July about 4 years ago. My best friend was dating Brianna's older sister at the time and they set us up together. We went to the Queen Marry in Long Beach CA. We were enjoying each other's company, laughing and dancing through the night. The firework show started around midnight. As we were watching the fire work show, Brianna slowly grabbed my hand to hold it and laid her head on my shoulder watching the fireworks in the sky and feeling the fireworks between us. We started dating for a few months and then made things "official" November 20th. Brianna has been the biggest blessing in my life and we have experienced many hardships along with many amazing times. We really enjoy dancing and one of our favorite things to do is go to dinner and a movie and then get home, turn on country music and slow dance. Brianna has the most caring and loving personality of anyone I have ever met and she has managed to lower this big tough man persona into an actual gentleman. We got engaged March 17 and are both so excited to see where life will take us together. 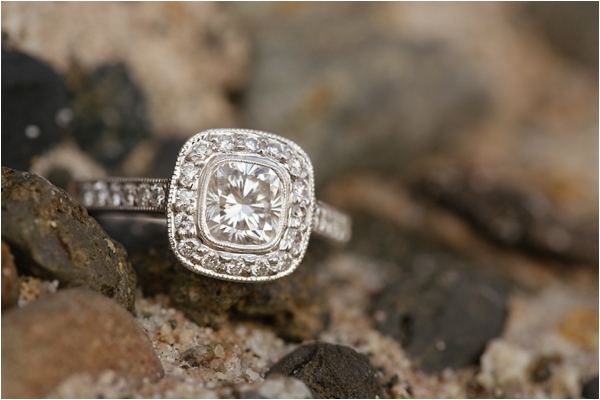 The proposal: Our engagement is one of my favorite stories to tell. I asked her father's permission about 3 weeks before my planed day of the engagement. Her dad was ecstatic which made me feel much more comfortable. I received the ring and was even more beautiful than I expected. The day could not come fast enough. The day was planned for Saturday the 17th of March. I called each of her family members and invited her mother, father, 2 sisters and brother to meet at my parent's house around 7 o'clock. I also invited her closest friend. On my side, I had my parents, sister, cousin and 2 of my best friends. The surprise engagement party was finally planned for Brianna. The day finally came. I had to get Brianna out of the house so my mom could make some appetizer dishes and decorate the room where I planned to get on one knee. Brianna and I went to the mall and hung out for quite a while. I explained to Brianna, I was going to take her to a surprise dinner and she needed to dress really nice, knowing that she would want to be dressed for lots of pictures to come with the engagement. My dinner surprise took us to the restaurant which we went on our first dinner date. Brianna was very excited to be back there just reminiscing about how far we have come, together since that first date. Brianna still did not suspect a thing out of the ordinary. I finally procrastinated enough and it was time to get Brianna to the ultimate surprise. I received the text that everyone and everything was in place and ready for our arrival. We got to the house and trying to open the door turned into a difficult task with my hand shaking so aggressively. Finally, I got the door open and there was a path of flower petals and candles leading to red and white flower petals shaped as a big heart outlined by candles in front of an audience of our family and friends. We entered the house, Brianna realized what was going on, saw her father and broke down crying. I walked her in front of the display, got down on one knee and said "Brianna, I love you more than anything and would love the opportunity to work my hardest every day for the rest of my life to make you the happiest girl in the world like you deserve, will you marry me?" Brianna, holding my hand and holding her eyes dripping with tears said "YES, YES!!" Our family and friends all cheered as I put the ring on her finger and got up to kiss my fiancé. Valentina Glidden Photography is a Le Magnifique Sponsor. 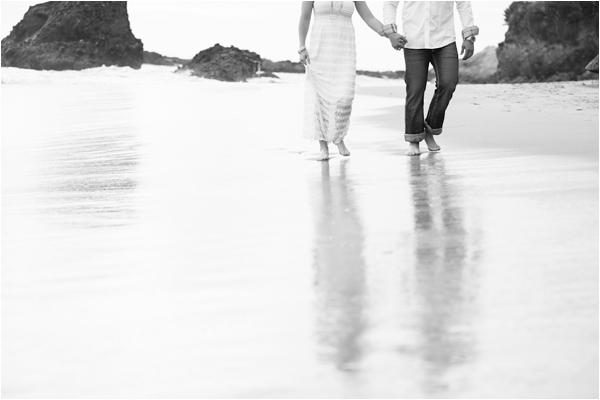 Check out handpicked selection of beach engagement sessions HERE.